Calling all Scouts! Now that summer is here, it may be the perfect time to work on some merit badges. Specifically, we were thinking of the Coin Collecting, Stamp Collecting and Collections merit badges. 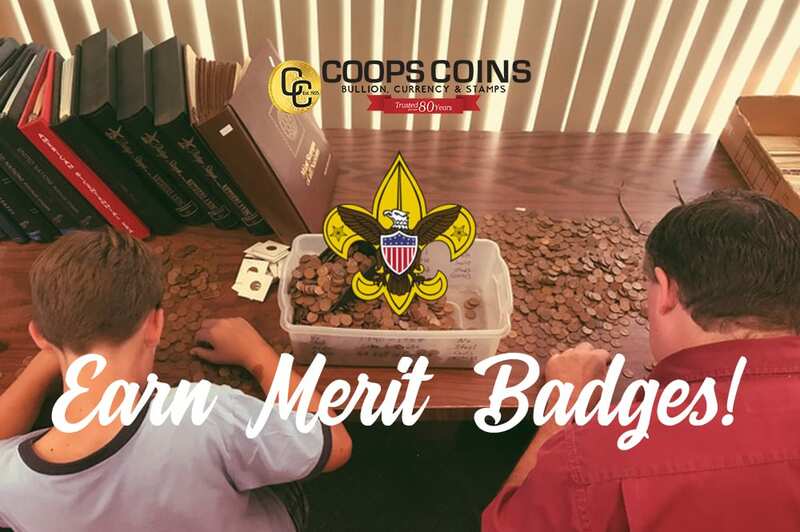 Each of these merit badges holds a special place in our heart because these merit badges can start one off on a lifelong passion for collecting. We love coins! Not sure if you can tell! For this particular badge, you will need to know critical terms, explain the grading system, be knowledgeable about types of storage as well as start various collections of your own. 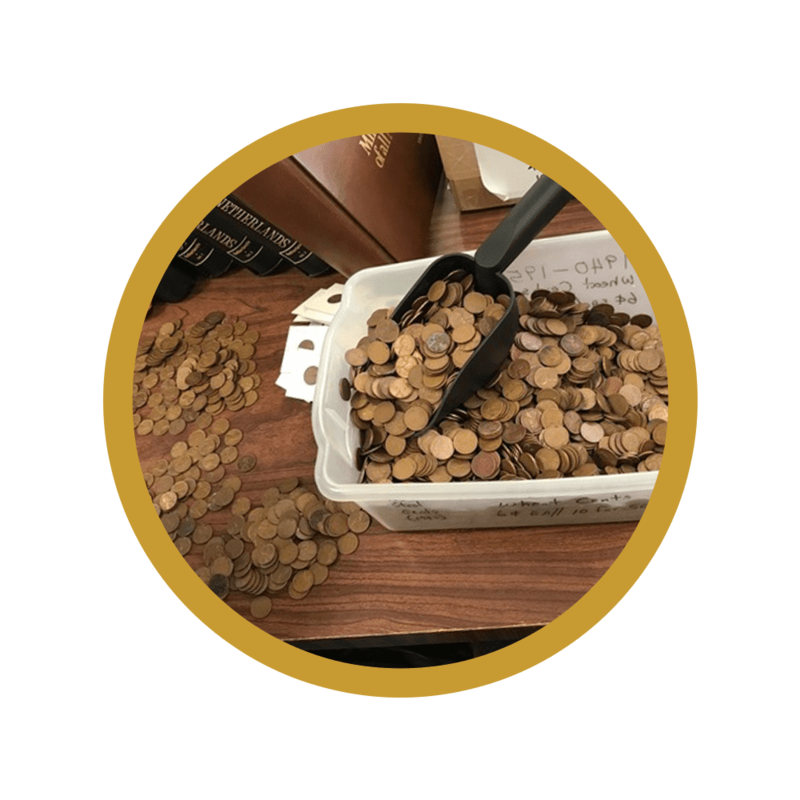 At Coops Coins we can share our knowledge, help you to understand more about the coins, and help you start your own collection. Stamp collecting provides an opportunity to appreciate the beauty of collecting. 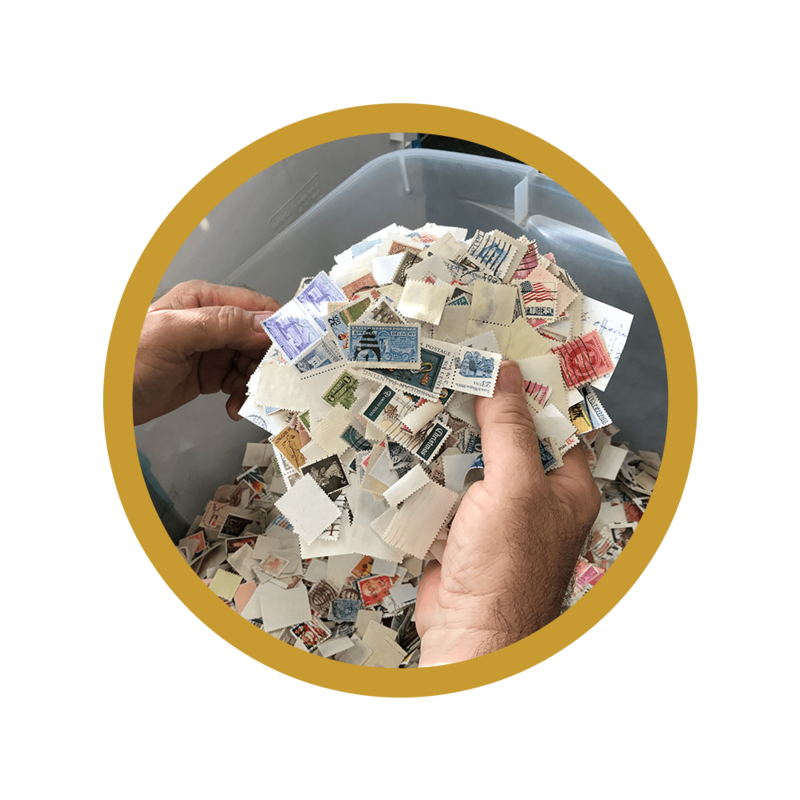 This merit badge calls for a demonstration of using various stamp collecting tools, and an understanding of how stamps help us value history, geography or people better. It also requires you to begin collections of your own. We have thousands of stamps at Coops Coins and would love for you to come in and peruse our selection. This merit badge allows you to collect what fuels your interest. 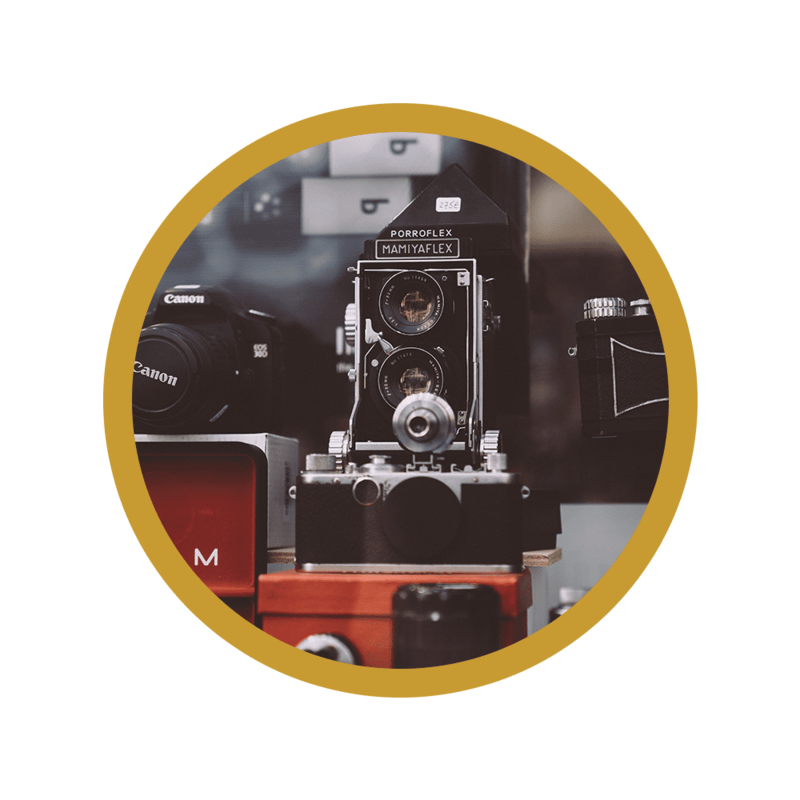 To receive this badge, you must demonstrate how your collection is to be stored and preserved, discuss investments and how you plan to grow your collection, as well as show your particular collection. A collection doesn’t have to be divided into concrete items but can reflect your interest in a specific style of vehicle, your interest in a species, and various other things. Our collections are varied and vast. We recommend coming in to see examples of collections or to get ideas about what you might want to collect. Finally, we have former Scoutmaster and Council Commissioner, Bruce Stumreiter, employed at Coops Coins! Bruce is delighted to help young scouts work on their badges. Come in today to work on your merit badges!